So often we see on social media, or hear in movies and TV shows, the overblown and very hyperbolic statement, “[insert innocuous thing here] I’m so depressed now!” More often than not, someone claiming to be “so depressed” in their social media posts is doing so to be purposefully dramatic for effect, when they are not, actually, depressed at all. They may be sad, melancholic, bummed out, or downright annoyed but, more often than not, this is not Depression with a capital D. When we talk about depression, we mean the actual neurological and psychological mental disorder that can deeply affect those who suffer from it. So, what’s the difference? Depression, as we said above, is a mental disorder that affects one’s mood. 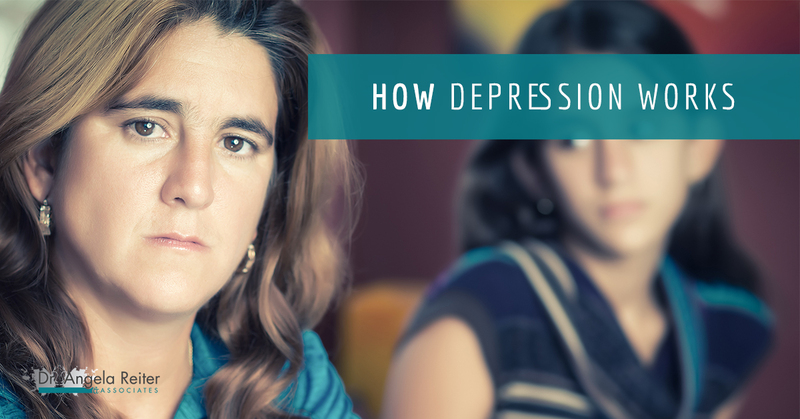 In the most simple explanation, depression can be explained as a sadness that won’t go away. It is, as you may imagine, much more complex than that, but the root of many depression sufferers’ symptoms is a deeply rooted sadness that lingers. The most common symptoms of depression are: ongoing or extended periods of sadness, loss of interest, tiredness or loss of energy, difficulty concentrating, problems sleeping (both insomnia and waking up much earlier), loss of appetite, physical aches, and in some cases, self-harm and thoughts of suicide or death. If you experience multiple of the listed symptoms most of the day every day for a couple of weeks, you should seek help from your doctor. As is the case with many mood disorders, there is no single set of symptoms or causes and, unfortunately, there is no quick and easy fix since everyone’s issues with depression can vary wildly. Depression can be caused by issues in one’s life like unemployment or family problems, or it can be initiated by health troubles like a chronic illness, a head injury, or cancer. In addition, there are different levels/types of depression that range from Mild Depression to Major Depression and Bipolar Disorder. It can also come up at certain times in one’s life, in the case of Post-Natal Depression (which comes after childbirth) and Seasonal Affective Disorder (which comes from the shorter days of winter). The idea of a cure-all depression treatment is, unfortunately, too idealistic. There are a variety of different ways to treat depression and the treatment will depend largely on your symptoms and, potentially, the cause, if it’s known. For someone with Mild Depression, meeting with a psychologist for regular counseling sessions can sometimes be enough to keep their depression symptoms under control. However, for someone with strong symptoms, like those common with Bipolar Disorder, medication may be necessary to get a handle on the more extreme symptoms. In addition to counseling sessions and medication, cognitive behavioral therapy (CBT), psychotherapy, and other various options can help depression symptoms abate. If you feel you may have depression or the symptoms above resonate with your day-to-day experience, a depression test can give you further information and start you on the path toward healing. 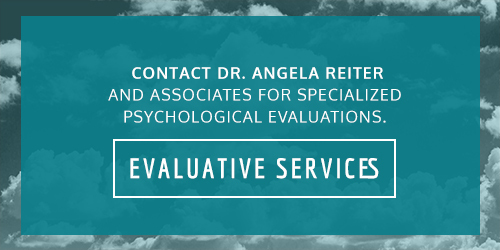 Contact the team at Dr. Angela Reiter and Associates today to schedule a consultation and begin the process of improving your mental health.